More berry and basil love. I don’t need to say anything else. 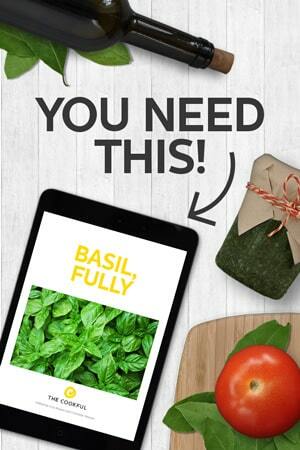 Are you getting tired of me saying that basil goes with berries? I really don’t care. It is too true and too delicious. So here I go again. 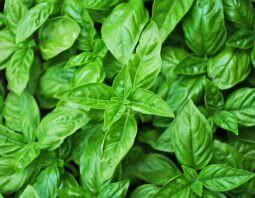 (And just so you know, I will be doing it one more time before our Basil Series is over). This time I’m coming at you with a recipe from Produce for Kids. 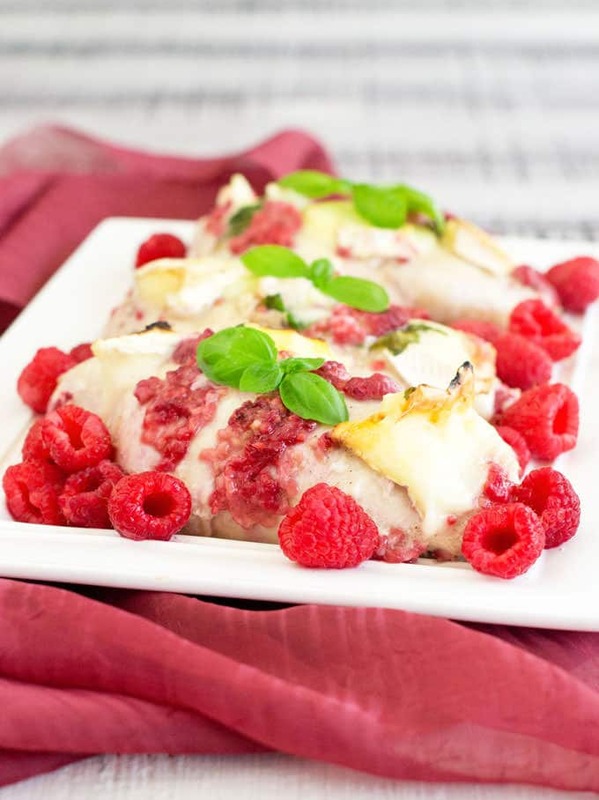 It’s for chicken breasts that are baked with raspberries, brie and fresh basil leaves. Yeah, think of that baked brie kind of flavor situation going on all over your chicken. Then before serving, garnish with more fresh raspberries and lots of fresh basil. It’s killer. Spray 13×9″ baking dish with cooking spray. Add chicken in single layer, sprinkle with salt and pepper. 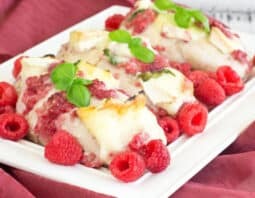 Top with brie, basil, half of raspberries and balsamic vinegar. Bake for 30 minutes, until chicken is cooked through. Mash cooked raspberries with fork, add remaining fresh raspberries and more basil for garnish. This recipe is courtesy of Produce for Kids.